How Much MB or GB Space Can Be Freed Up on your iPhone, iPad? 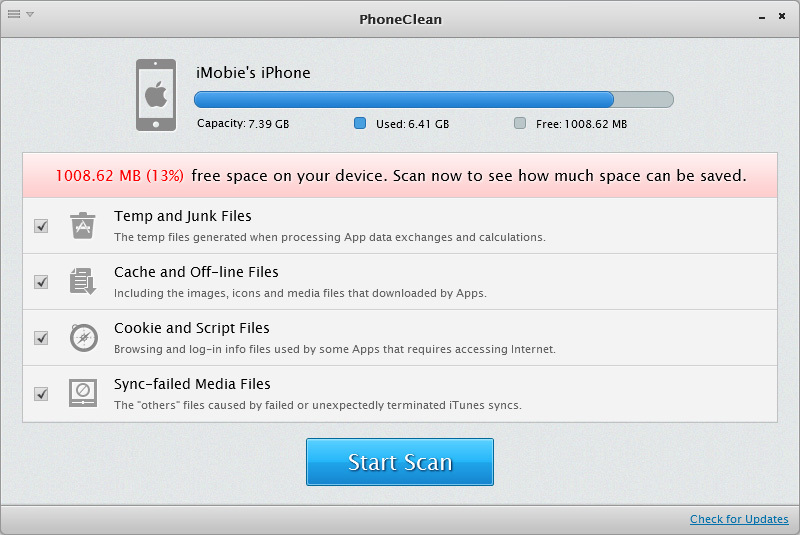 Last August, we reviewed the free Windows utility called PhoneClean, the uniquely designed application allows users to free disk space on there iPhone, iPod touch or iPad by cleaning up the files that are no longer useful to the system. 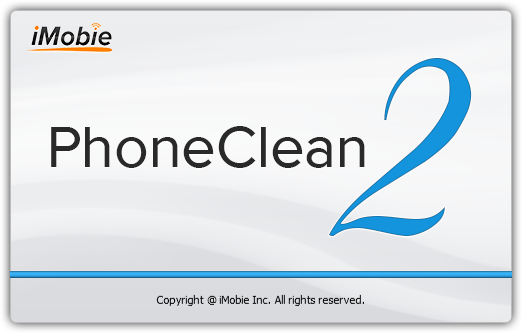 The iMobie, creator of the program, has now informed us that PhoneClean has been thoroughly redesigned and upgraded to version 2, and its Mac version also available. The PhoneClean scans on your machine, looking for temporary files that are no longer used, but for some reason kept there. It does not erase progress of games or any application data, even if they are only remnants of unused files. 1. When opening an App, e.g. Twitter, FaceBook, CNN news, etc, users need to wait for a while to let it load the cache and off-line files, including images, snapshots, etc. They are created to speed up file access temporarily. But over time they may occupy over 1GB space. 2. When processing complex calculations and data exchanges, iOS Apps will produce temporary files, which will be rarely used again once they fulfilled the statistical purposes. 3. To prevent the leak or abuse use of users personal information, PhoneClean helps to clean up the cookie and script files on iPhone before backing it up to iTunes or iCloud. 4. The failed or unexpectedly terminated iTunes syncs will generate corrupt media files too. They are part of the Others on iPhone and are viewable through iTunes. The size of cleaning depends on each case, but for some of our readers, the program managed to release more than 1GB of space on the first time I used it. For those who have models with less capacity (8GB or 16GB), the tool is very helpful.